Things are going well here in Buenos Aires. I’m doing about five hours of one-on-one Spanish classes per week with a very good teacher and frustrating though it is, I think I’m improving. I feel like a bumbling idiot, but when I take a realistic look at the level of the conversations we are having I guess I should not complain. I am having conversations about work issues, medical issues, life, philosophy, and science. Definitely way past “The pen of my aunt is on the table.” So, I will continue. This is 30 days since I’ve been in country now, and although I have settled in well, I am definitely starting to get cabin fever. A friend of mine from Asia just visited Medellin, Colombia a couple of weeks ago and gave me a very positive report on the place. And since I have approximately 10 days of play in the number of days to accomplish my residency here, I am thinking about going up there for three or four days just to check it out and add another country to my list. Although initial checking indicates it is a difficult task to fly from Argentina to Columbia. Amazingly enough, there are no direct flights. Almost every flight has two or more stops on the way and lasts about 12 to 13 hours. Oh well. If I do it, it will be an experience. But I thought I would let myself get at least two more weeks of Spanish lessons under my belt before I do that. I started watching a television series, out of New Zealand I believe, called 800 Words. It is a nice show. About a father who is a writer, and his two children, who relocate from Sydney, Australia to a small town in New Zealand after the death of his wife. Pleasant, not too stressful, and at least to my primitive senses somewhat insightful about the human condition. I am grateful though, that with Amazon Prime, I’m able to fast-forward 30 seconds at a time for the stuff that I know will stress me out. I decided this week to take a break from talking about economics, globalism, nationalism. I thought instead that I would hold out a little bit on the size of the cybercrime and economy social media issues. Wow. That is almost as much as Spain’s estimated 2018 GDP. Spain is ranked 13th in the world GDP wise. Food for thought is all. · Computer algorithms can be used to accurately profile a person even better than a close relative. o A spouse with 300 Likes. The average Facebook user has about 227 Likes, a number that’s on the rise. Below is a link to an article that discusses the study. Another discussion from the same security podcast (which specializes in social engineering issues), is the consequences that social media in general can have on democracy. Democracy is supposed to be based on the open and transparent exchange of views and ideas. Using social media to target people for political campaigns is in fact a completely hidden process. And the very fact that political lobbying groups, such as Cambridge Analytica, not to mention anybody by name, can target people on social media with direct advertising and emails, and nobody, not even the political party being supported, actually knows that it’s going on. I had not even considered this, and I was quite taken aback when the researcher proposed it, but it is obviously very true. His suggestion to combat this was that anybody running a political campaign should, by regulation, be constrained to post in public, every single message that they are responsible for and that comes from them. That way, anybody getting a message from them can then crosscheck whether that is in fact part of the actual political campaign. I think that’s a great idea, but I can’t see politicians, especially in the United States, hampering themselves like that. 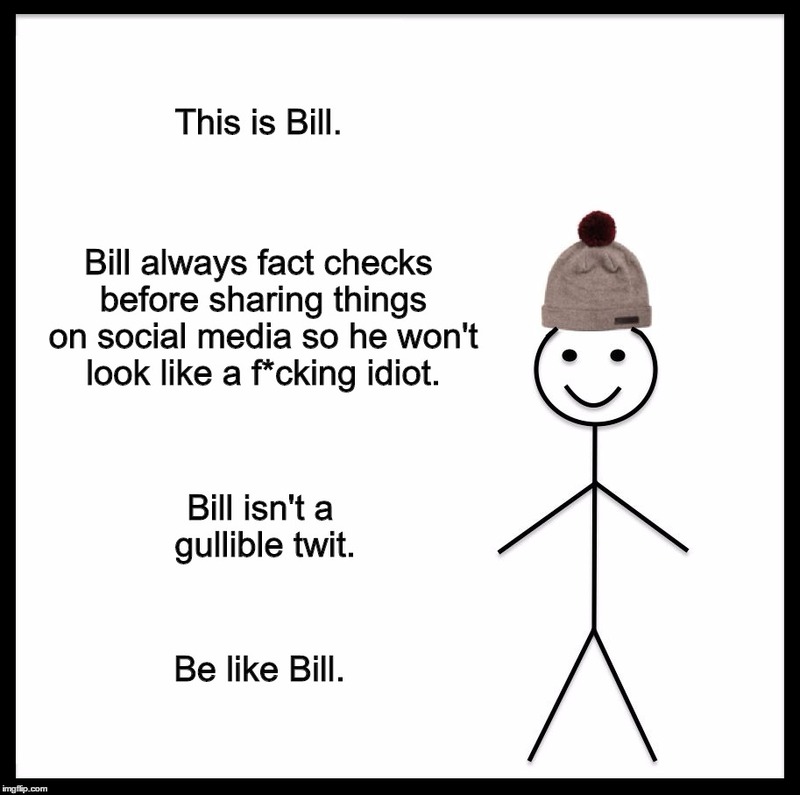 · Any time you see any kind of political information come through your social media feed you should block those types of posts immediately. Because, frankly, any kind of social media is an absolutely terrible source to be getting your information about anything that is genuinely important. · And if you are sharing this kind of stuff through social media, you should at least be socially responsible enough to read and do some level of fact checking on whatever it is that you are then proposing to share. And, two weeks ago, I did in fact get off Facebook entirely. I only had one Facebook account, under a pseudonym, related to the name of this blog, and because I’d attempted to access my Facebook account from a different machine than I normally did, Facebook in their infinite wisdom, (screw you Mark Zuckerberg), locked me out of my account. And to add insult to injury? I found out that there is no way to contact Facebook to redress a problem like this. How egregiously stupid is that? And, yes, I am not unaware of the irony that I, the product, am complaining about the company that is trying to sell me, about not being able to get back in to the system. 😊 That bit of self-appraisal helped with my decision to abandon Facebook entirely.